Back in January, you might have read about Verizon Wireless' 'hard requirements' for new devices, moving forward into 2012. Basically, the company said they planned to go 100% 4G LTE, with no 3G-only phones beyond the older, push-to-talk models. As long-time Verizon Wireless customer MobilePhonesFan could have told you, they weren't kidding around. Much like Vulcans, Verizon never bluffs. 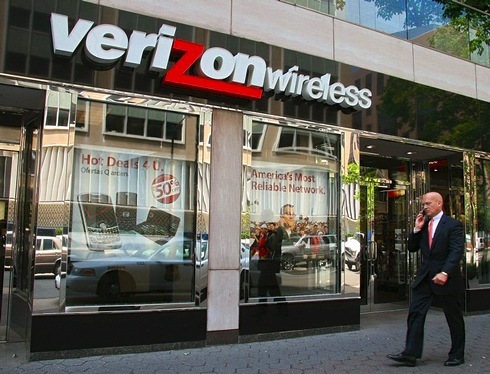 CNN's David Goldman spoke with 10 salespeople at New York-area Verizon stores. In every case, he reports, they steered him toward 4G Android phones -- even when he began by asking about competing models from Blackberry, Apple or Windows Phone. Here's what I found: Next time you walk into a Verizon store looking to buy a smartphone, expect the hard sell on a 4G Android device. In each of the 10 discussions, representatives steered me toward either the Motorola (MMI) Droid Razr Maxx, the Droid Razr, or the LG Lucid -- all 4G-capable phones running Google's (GOOG, Fortune 500) Android software. When I asked if those devices were better than the iPhone, they responded that the iPhone was an inferior alternative because it only runs on the company's slower 3G network. It's true that Verizon's iPhone is 3G-only. Apple doesn't yet make a version compatible with Verizon's 4G network, which potentially offers download speeds up to 10 times faster than on 3G. "The iPhone is a great phone, but it's on 3G," said one representative at a Verizon Wireless store in midtown Manhattan. "I'm not going to recommend a phone that's outdated."